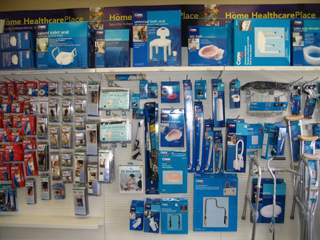 Medical Plaza Pharmacy has a huge selection of Durable Medical Equipment, Medical Supplies and Home Health Care Products. We stock everything from lift chairs and bath safety products to canes and mobility devices such as rolling walkers and canes. 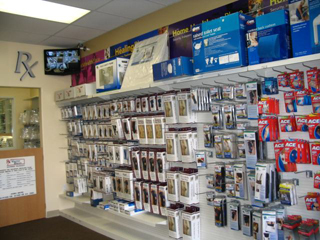 We carry a wide assortment of the finest medical equipment available. 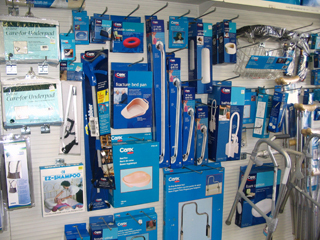 Whatever your medical equipment needs, we have the items in stock or will special order it for you. If you do not see the equipment or supplies that you need, please ask. We will be happy to order what you need. 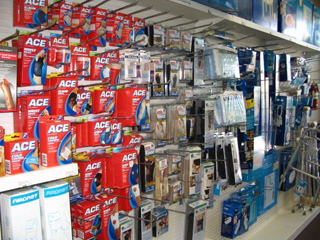 We stock a wide assortment of medical supplies and durable medical equipment. Our name brand medical supplies are of the highest quality and durability. Our products are affordable and priced competitively. 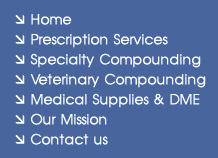 © 2008 Medical Plaza Pharmacy & Compounding Center. All Rights Reserved.